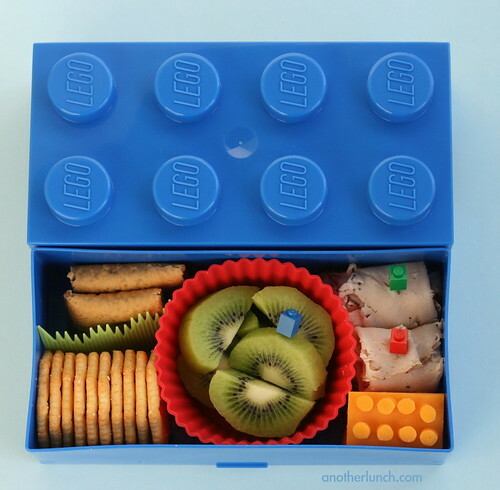 another lunch: new bento box: Lego lunch! Too funny, I just bought the smaller version this week for Patrick's stocking. 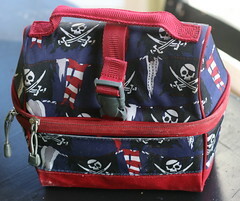 I just thought it was a cute little treasure box, may have to go back for the bento size one! 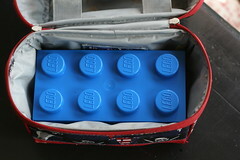 what I love is that, when you go to the store on amazon, they have little lego head containers you could use, a water bottle that looks like a lego person, and other sizes of the boxes so you could get smaller for a younger child or bigger one for an adult. This is such an adorable box! I may have to break down and get one for Kidlet. He is a major lego fan also! Hm. I'm not sure if I know how you made the picks. 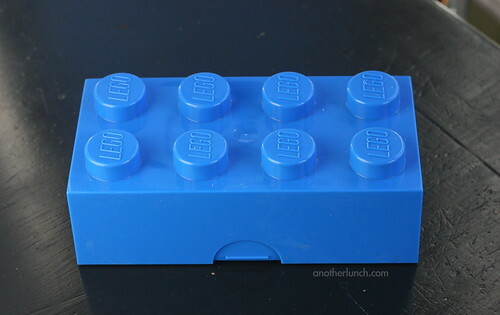 I get the sticker idea, but where did you get the Lego top? They look so tiny! Loved this idea! I went and got one for my son as well - and it says on the container store website they are food-safe. Where did you get the silicone balan? I can't seem to find it anywhere - it's super cute! 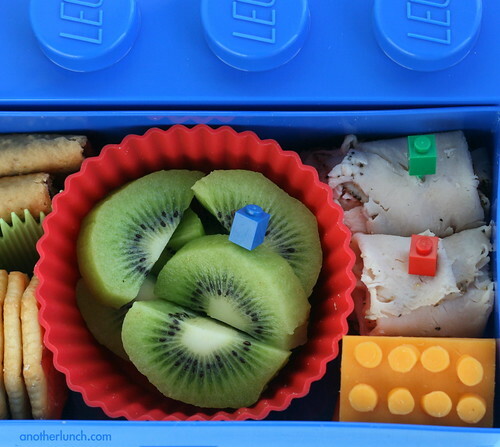 Also Bento&co has brick shaped silicone cups as well! Thanks for the great ideas!